As readers of this blog know, I’ve been following the trend of gourmet food trucks opening up at the same time that restaurants are closing down. This morning I discovered a new twist on the trend. 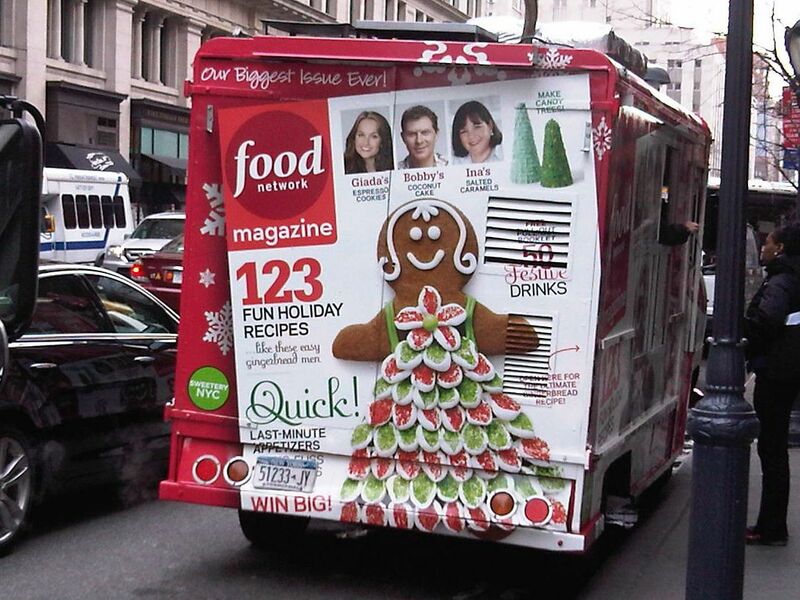 Food Magazine using a food truck for marketing purposes. A perfect brand metaphor! 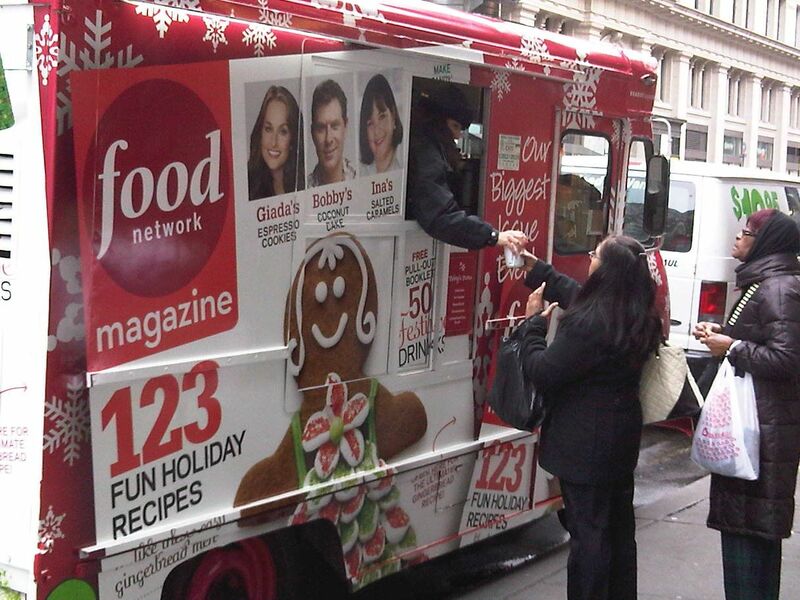 Yes, they are giving out hot chocolate, candy canes and other seasonally appropriate fare. 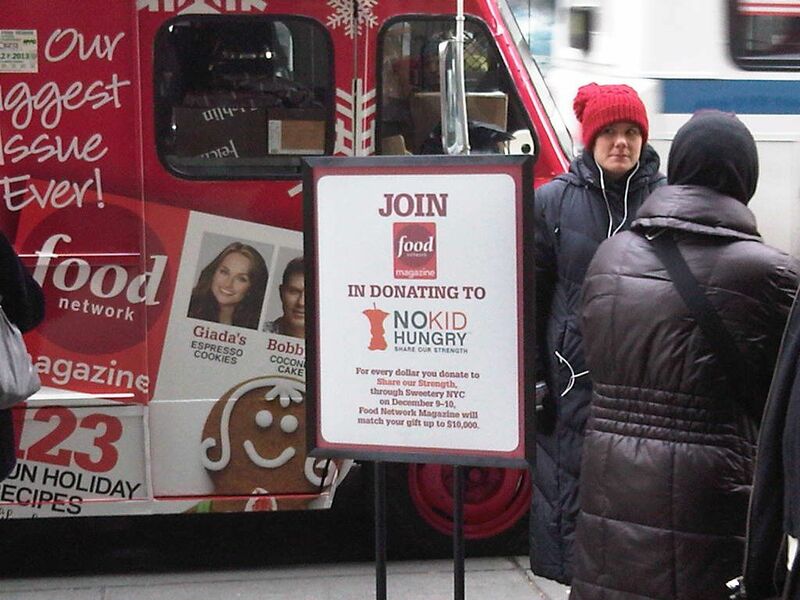 If you have a few minutes, you’ll see them on 23rd Street between Fifth and Sixth Avenues. As you’ll see, this isn’t simply a marketing ploy. There is a social responsibility initiative connected to the truck, benefiting Share Our Strength. About 4 weeks ago I was at a dinner to discuss the novel “The Museum of Innocence” by the Turkish writer, Orhan Pamuk. What made this particular discussion rather unique was the presence of Orhan Pamuk himself. And what makes it relevant this a blog about narrative branding are the challenges of translation on a global stage. For many years Pamuk has lived at least part time in New York City. If you have the opportunity to meet him, you will immediately notice how articulate he is, how precise he is in his choice of words. His eloquence far exceeds mine. But he writes in Turkish, not in English. And he is read in many languages including German, Japanese, Italian, French, Spanish and more than 40 others. One of the other guests asked which translation should he read of an older book written by Pamuk. “Well, it depends on which book,” Pamuk responded. He went on to say that the German translation of a particular book was better than the English translation. Pamuk continued to talk about the problems of being read in translation. As a Turkish writer, he has an extra twist to the translation problems. “The English translation is the most important one,” since that is usually the basis for most other translations of his books. If the English is not well done, then the translations based on it will have a rickety foundation. The opportunities for misunderstandings multiplies. A translator of Pamuk must translate across cultures and, often, across religions, too. Again, another multiplier. Consider for a moment the extent of the problem. It is easier to find a talented person who can translate from English into Swedish than it is to find one who can translate from Turkish into Swedish. If the gentlemen at the Swedish Academy could not read Turkish, and if there were no translation available, then they might never have awarded Pamuk the Nobel Prize in literature. And because of that globally recognized prize, we can consider Orhan Pamuk as a writer for a global audience. Here we can see him being interviewed in Paris by Columbia University’s School of the Arts dean Carol Becker. So now Orhan Pamuk is a global brand! Let’s simplify the translation issue for a moment. Let’s get practical. Can a brand be a global brand if it does not have the same tagline everywhere? And if it has the same tagline, does that get translated in the local language? 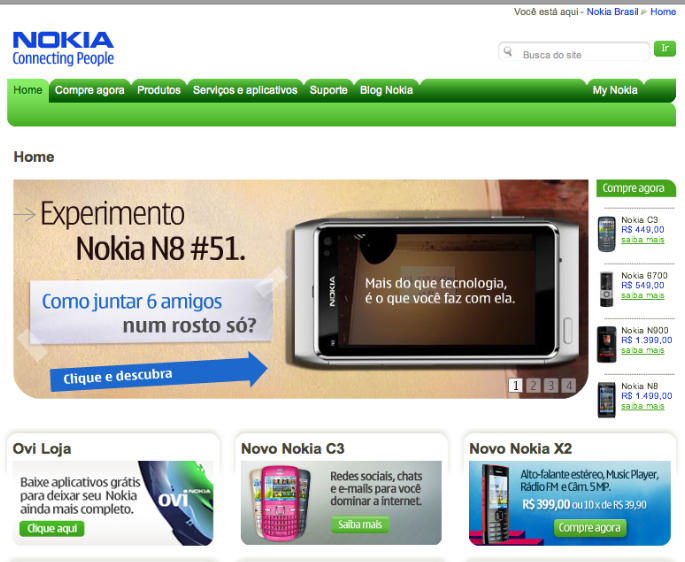 Consider a brand like Nokia. A Finnish company. With an English tagline. What has gotten lost is the origin of this brand. Many people think that Nokia is a Japanese brand. Worse, their tagline is about connecting but since many consumers cannot understand it, they are missing the connection. This is a missed opportunity for Nokia. But that does not mean taglines always need to be translated. For example, Philips, a Dutch company with an English tagline. Here the use of English makes the brand more accessible. The phrase is echoed in the design aesthetic of the brand. In Europe and much of the rest of the world it works perfectly. Now consider a global brand such as Disney. It is not enough to translate a movie such as Sleeping Beauty into Chinese. You have to consider the cultural references. A child from Europe or North America would have grown up with the Sleeping Beauty story. 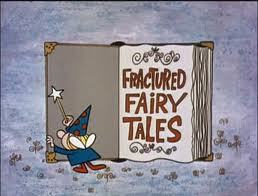 And not just the Disney version but also perhaps others such as the Grimm’s version (in translation) known as Briar-Rose or Jay Ward’s Fractured Fairy Tales version. This is not part of the cultural heritage in China. So the Disney brand does not have the same deep-rooted familiarity with in China that it has in the West. This clearly has implications for the new theme park that Disney has announced will be in Shanghai. Certainly we see evidence of this in the reception that Disneyland Hong Kong initially had. Something gets lost in the translation as a brand moves from its local roots to the global stage. That is inevitable. That is unavoidable. 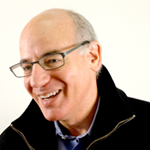 The challenge of global branding is to minimize what is lost. And to create new meanings for a brand as it expands into new countries and cultures. It means looking for the universal truths without becoming plain vanilla. The other side of the razor is being so highly localized that a brand cannot benefit from the economies of scale that being a global brand brings. This is why global branding is not the same as using the same tagline everywhere. There is much more to it that than. As for the global brand Orhan Pamuk, I wish for all of us global readers that very little gets lost in translation.